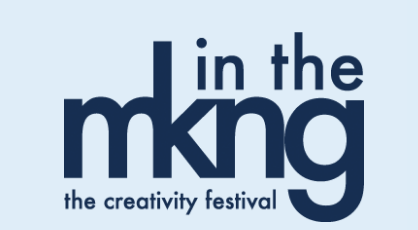 A new festival called “In the MKNG,” (think of the term in the making) joins the Bethel Woods Center festival lineup. “In the MKNG” will take place September 29-30 in the notorious Hudson Valley at the same site that Woodstock happened so many decades ago. Although the inaugural festival is not expecting as many attendees, the festival nods to the same principles that once attracted so many visitors. The festival will showcase DIY, creativity, and imagination and is hosted by the creative giant AFCI, or the Association for Creative Industries. The festival will include live music, food trucks, demonstrations, workshops, and more. Research has shown that the demographic of those who refer to themselves as creatives is not subject to a single group. Rather, the type of creator is as diverse as the word itself. “In the MKNG” was started as an event for the creative universe to provide inspiration and education for them all. Bethel Woods strategic location places it just two and a half hours from New York City and three hours from Philadelphia, attracting some of the nations largest creative populations. Bethel Woods Center for the Arts is a non-profit who’s mission is to “inspire, educate, and empower individuals through the arts and humanities.” They accomplish this mission on their 800-acre Hudson Valley campus that was once the same location as the historic Woodstock festival. The campus also includes an amphitheater and a year long list of festivals that inspire creativity across generations and demographics. The non-profit also makes it a goal to preserve the historic site and inspire future generations to also positively contribute to the world around them. If you’re looking to become a vendor for the 10,000 plus attendees, apply at www.inthemkng.com, or email sales@inthemkng.com.